Colors and elements of the materials used inside and outside the house matters the most in achieving the most comfortable and exquisite home that we dream of. A dream house has a lot of ideal characteristics that we usually draw in our mind. We tried our best to at least search for the best ideas that will turn our dream house into reality. 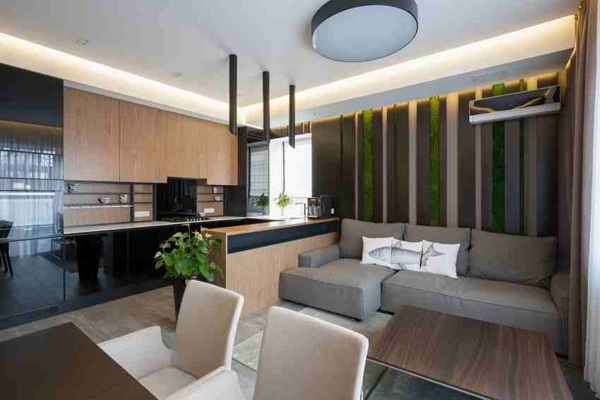 Today, we will be showing you a house design that will definitely enhance your future house. This house is named as Riba House and situated in Ukraine. The most impressive areas of the house are actually located in the interiors. 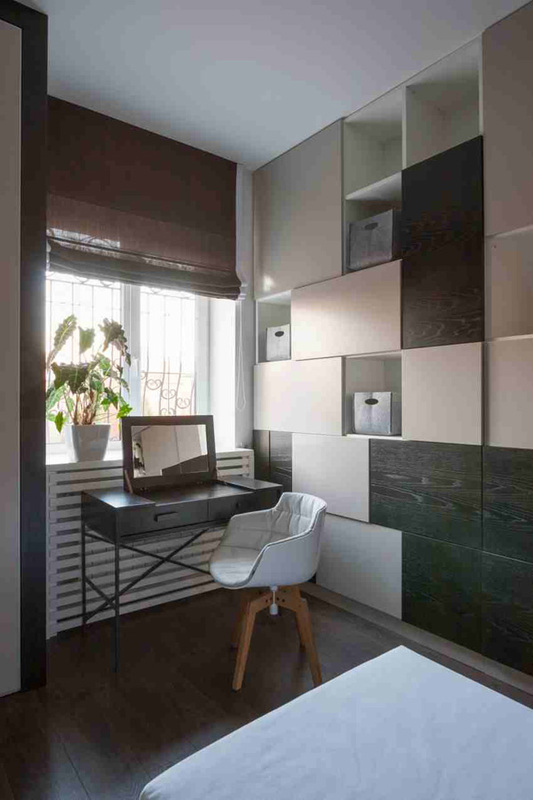 The designer made use of warm colors of the furniture and paints that are perfectly blended together. They renovated some of its important areas in the interior and since the homeowner was fond of floristry, this became the basis for the main emphasis in decorating areas. Let us see more of the different renovated areas of the interior through the images below. 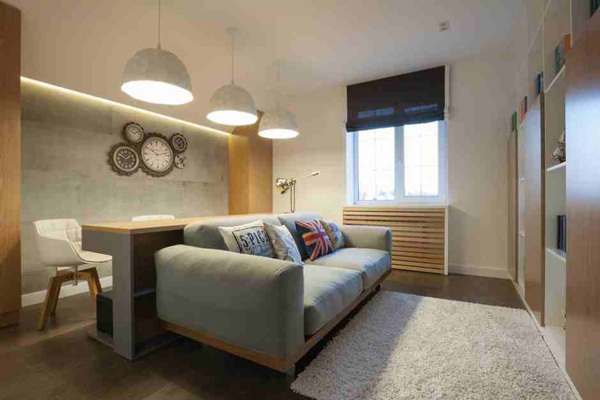 See how this unique lampshade highlighted the comfort and modern style of the living space. Here is the kitchen space that reveals the trendy and unique furniture that made this area so cozy. 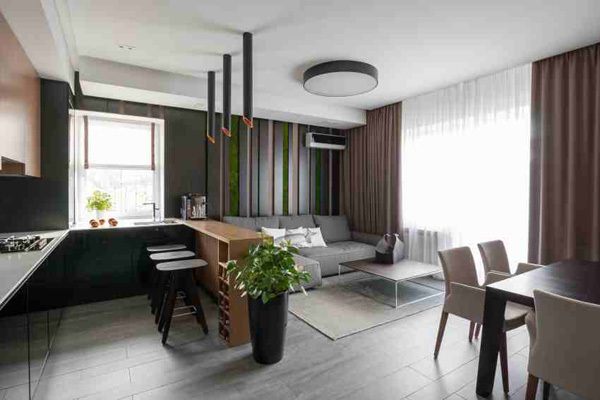 Grey colored furniture harmonized with the wooden table and trendy chairs in this area. 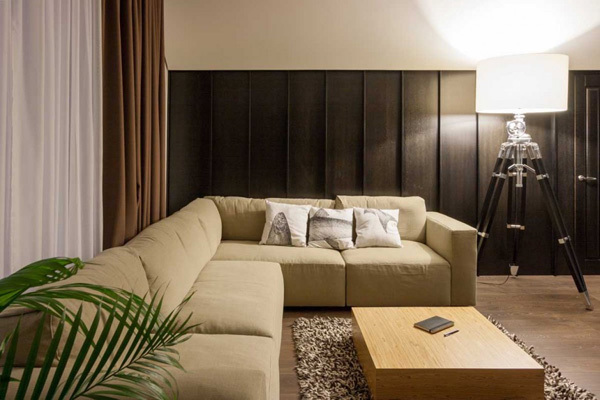 Patterns and texture of the wooden table as well as the sofa accentuate the modern look of the kitchen space. 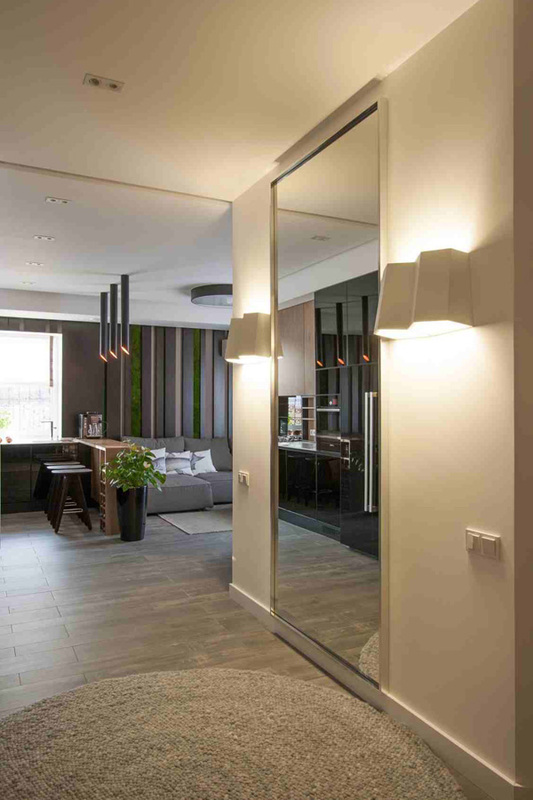 The lamps installed in the sides of this huge mirror enhance the walls in the interior. LED lamps underline the incredible qualities of this table for three in the sides of the kitchen space. 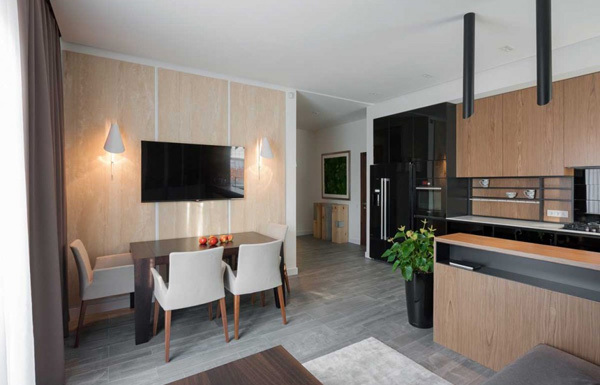 Looking closely at the kitchen, you will see how the designer place this extraordinary wooden chairs that harmonizes with this wooden cabinets and table in one. The plants installed in this bedroom perfectly blends with the mosaic design of the carpet in the center. 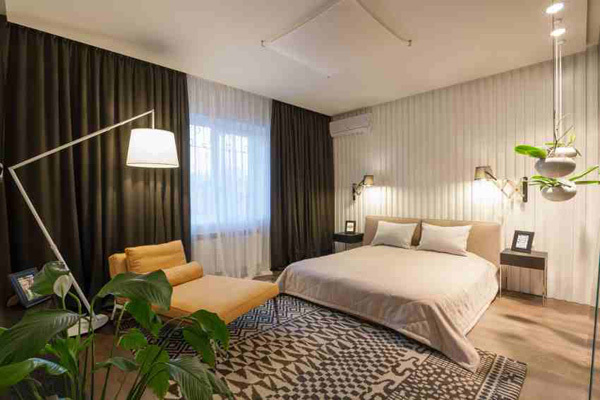 The forms and lights here stressed the great ambiance that will provide comfort and charm. 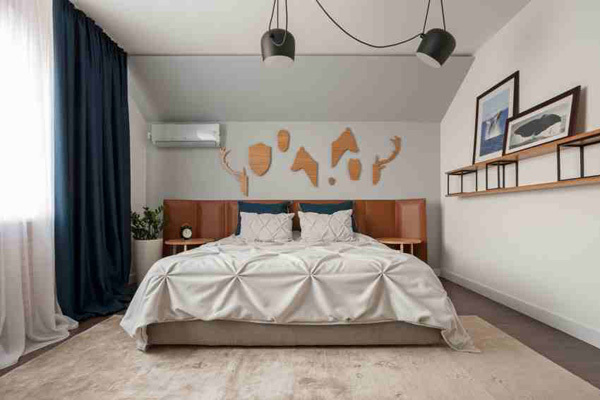 Artistic wall decors and paintings reveal the homeowners character and personality. 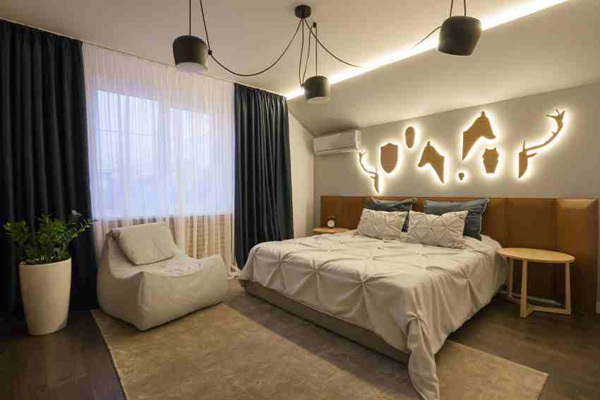 The well-lighted wood crafts in the wall made this bedroom livelier and lovelier. 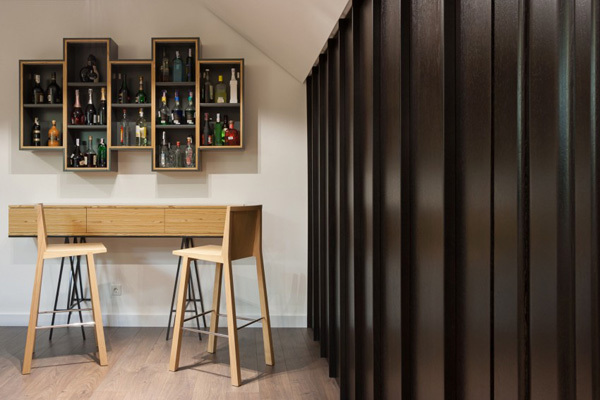 Geometrical shapes and forms of the shelves in this mini wine bar also speak of charm and trendy features of the house. 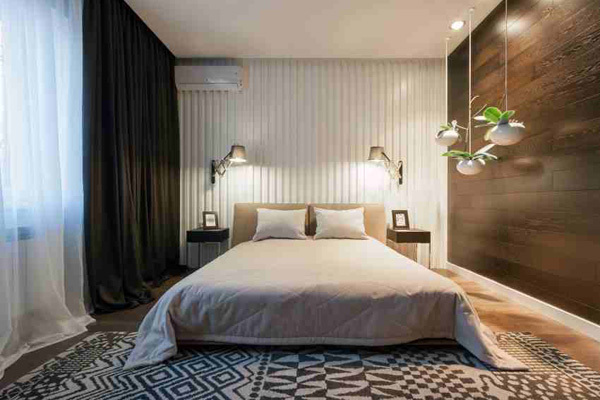 Black and white theme is maintained in this area where the client can enjoy the sustainable light, too. Soft and comfortable sofa set together with this three lamps unveil the astounding look in the entertainment area. 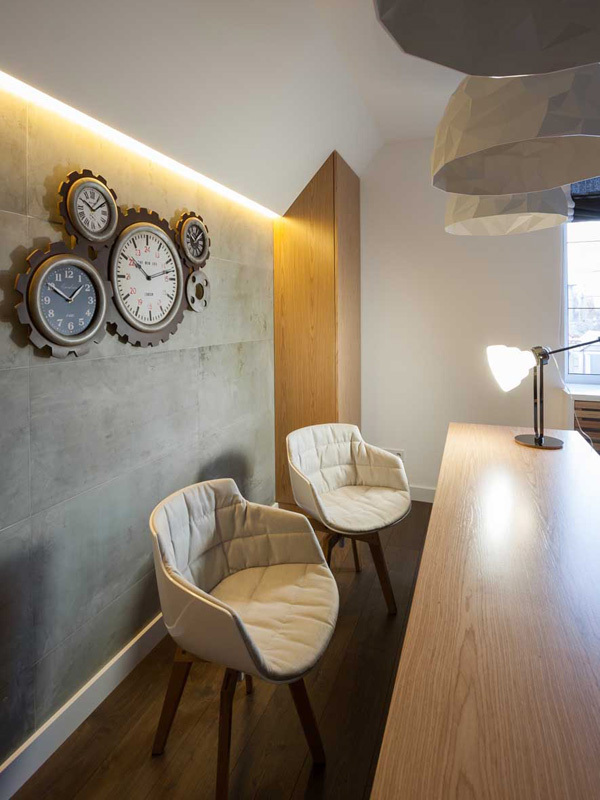 Take a look at the curves and textures of the chairs and table in this elegant space. 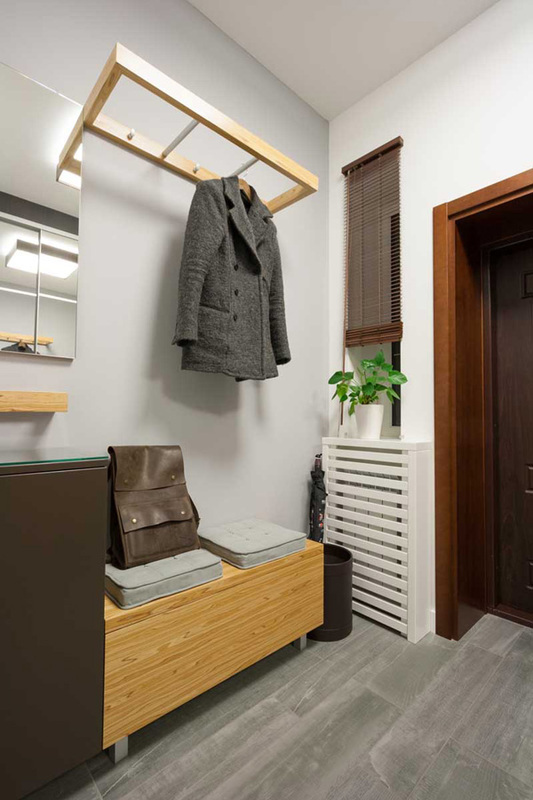 At the bathroom, the designer secures an area where the client may hang their coat. 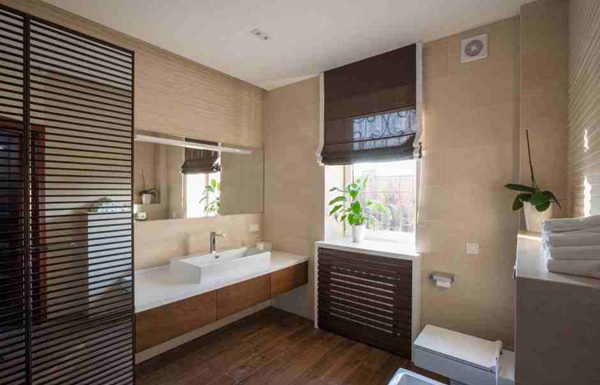 Expensive and modern fixtures in this contemporary bathroom underlines its significant functions. 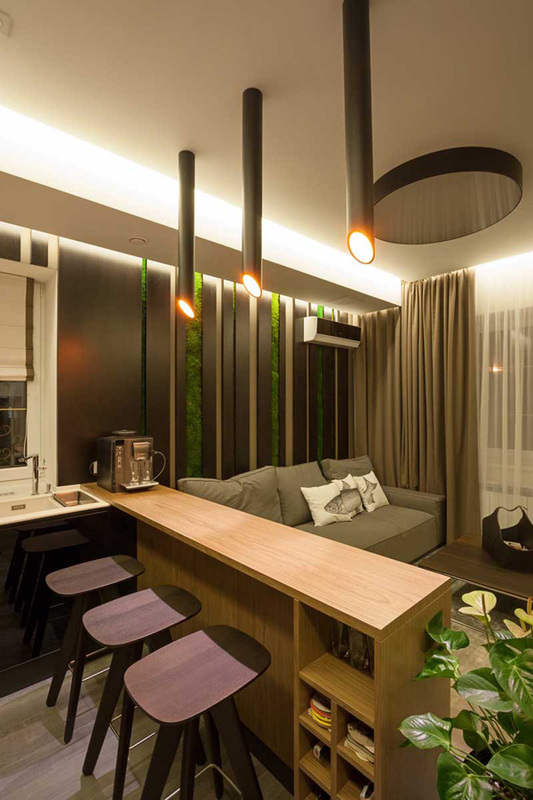 As you can see the different indoor areas, the Svoya Studio’s main idea was based on the combination and interaction of color, material and texture contrasts. 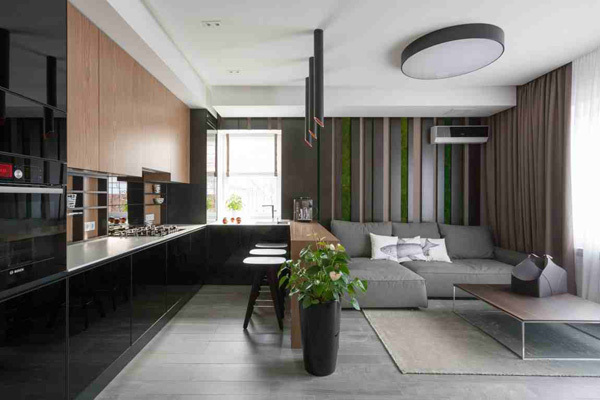 What appeals me the most is the black gloss kitchen and a moss panel, bright polished marble and dark matte wood, and perfect smoothness are harmonized with eco-design elements. Simple renovations may be applied in the house interior but still we can’t deny how exquisite it became after the transformation. We hope that you will consider some transformation made in the house that you may apply in your future house.